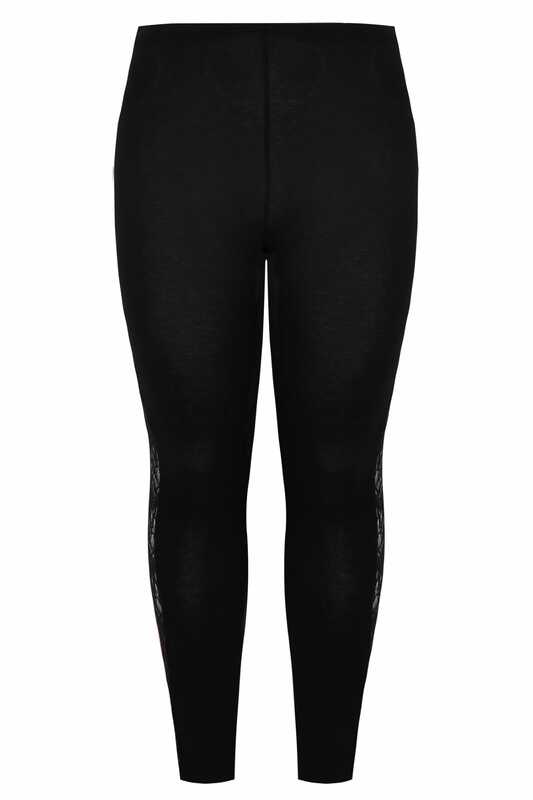 Inside leg length from (approx) 75cm/29.5"
Combining comfort and style, these leggings are made from a comfortable stretch fabric with a lace stripe to the side. Ideal for taking you from AM to PM, they look just as good with heels as they do with trainers. We love the lace insert.